Pack your bags and get ready to explore one of the most popular tourists destination in India – Himachal Pradesh as we are offering the best Himachal Tour Packages at exciting prices. 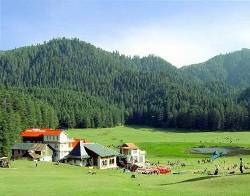 Himachal Pradesh is one of the most famous and popular tourists destination in India and a must see destination for those who love mountains. The state is popular for its beautiful landscape with fresh lakes, gushing rivers, snow capped mountains, fruits and flowers laden trees, rich diversity and cultural heritage of arts and living style of people in Himachal Pradesh and this make it a tourist's paradise. 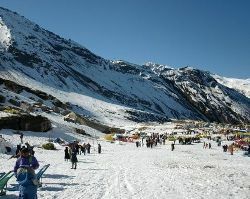 If you are planning your holiday trip to Himachal then, you should definitely go through our Himachal tour packages to pick the best package as per your budget and enjoy a wonderful and unforgettable trip. Rover Holidays is offering you the best holiday packages to Himachal that includes from the shortest duration of 2Nights/3Days Shimla tour to the longest 13Nights/14Days tour to Himachal and much more. 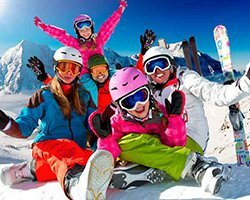 Considering your requirements and budget we have designed our Himachal Tour Packages so that you can enjoy a wonderful trip. Alluring tourists from across the globe, Himachal pradesh has plenty of attractions which make it a perfect family tourist destination, best honeymoon destination and also a holiday destination for friend groups. There are several monasteries, temples famous for its architecture, views of the breathtaking mountains, valleys, lakes, waterfalls and wildlife are sights to behold. 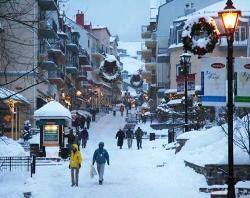 You cannot take your eyes off from watching the scenic views of valleys, waterfalls and snow capped mountains. Whether you are a nature lover or the one who love adventures like trekking, mountaineering, etc. 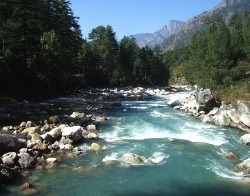 then Himachal is the best destination for your holiday trip. Pick the one tour package from our comprehensive Himachal tour packages list that best fits on the duration of your trip and budget and enjoy a memorable trip to Himachal. A trip to Himachal is truly pleasurable, the incomparable beautiful landscapes and the snow capped mountains in Himachal is treat to eyes. 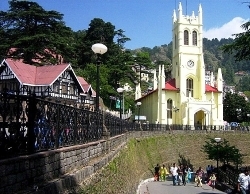 And this make it one of the most popular tourists destination in India. It is a perfect holiday destination for solo trip for the adventurous people, family trip and honeymoon also. So, whether you are looking for a honeymoon package or family tour package for Himachal Rover Holidays is the right options for you as we offer you the best Himachal Holiday packages under your budget. So what are you waiting for pick the best holiday package from Rover Holiday, pack your bags and get, set go.